Here are my choices for the best and worst education events of the past year; what are yours? Leave a comment! 1. Class sizes increasing in NYC and many other areas of the country, due to budget cuts and wrong-headed priorities. 2. The rapid spread of credit recovery and substandard “virtual” instruction, with the goal of replacing real-life teachers with computers. Meanwhile, Joel Klein and Rupert Murdoch wait in the wings, eager to make a buck off online learning and the further degradation of public education. 3. The huge amount of money poured into the political campaigns of candidates who backed the agenda of the privateers, the funding of pseudo-documentaries like Waiting for Superman and The Lottery, the proliferation of fake grassroots groups like Stand for Children and Michelle Rhee’s Students First, the week-long horror show that was NBC’s Education Nation, all singing the same demented tune of privatization and high stakes testing. 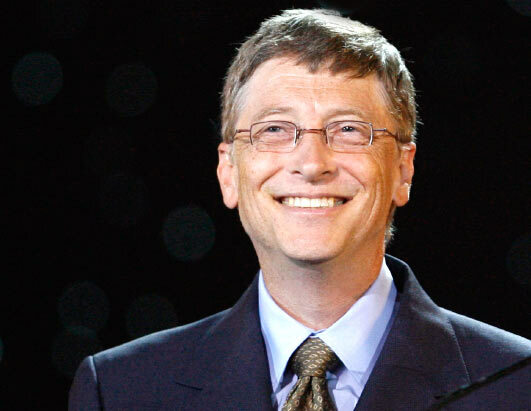 These political action funds, organizations, and media extravaganzas were financed and promoted by the same small group of powerful billionaires and hedge fund operators who are leveraging their private fortune and exerting outsized political influence in education, similar to the way that hostile corporate raiders took over large, undervalued companies in earlier decades. 4. Arne Duncan and the US Department of Education, whose agenda has been hijacked by the same group of corporate privateers, who spent billions in taxpayer funds to push policies that were contrary to research and common sense. These included “Race to the Top”, where they bribed cash-strapped states to pass laws encouraging the rapid expansion of charter schools and teacher evaluation tied to statistically unreliable student test scores, the slush fund called “Investing in Innovation” (or I 3) which siphoned millions of tax dollars to “innovative” programs like KIPP and Teach for America, the “Teacher Incentive Fund”, which wasted millions more on teacher bonus programs that have been proven to be ineffective, and the worst of all, the punitive but euphemistically named “School Improvement Grant” program, which is forcing closures, charter conversions, and mass firings of teachers at hundreds of inner city schools around the country. 5. The widespread acceptance by the privateers and the foundations, think tanks, and government officials who they control that ignoring research, demonizing teachers, disregarding the views of public school parents, and "experimenting" on our children constitutes an acceptable vision of education reform– as well as the use of rhetoric claiming that anyone who dares opposes their destructive policies is a defender of the status quo. 2. Diane Ravitch recognized as the unique star that she is: writing a terrific book, and sharing her brilliant critique of the Billionaire Boys Club and her unwavering courage on the national stage. 3. The NY State Education Department finally admitting what has been long obvious to most independent observers -- that the state test scores upon which Bloomberg rode to a third term were hugely inflated, and recalibrating them downwards. 4. The emergence of a powerful counterforce to the dominant narrative of education reform through incisive critiques by public school parent bloggers throughout the nation, like Sharon Higgins of Oakland, Caroline Grannan of San Francisco, Julie Woestehoff of Chicago, Dora Taylor and Sue Peters of Seattle, Steve Koss, Gary Babad and Patrick Sullivan on our own NYC Public School Parent blog, and so many others….as well as Valerie Straus of the Washington Post Answer Sheet, who has given them even more prominence and a place to shine. Is the mayor guilty of a double standard, as he defends the performance of the sanitation workers and fire department, whose ability to fulfill their duties were hampered by the blizzard, and yet he continues to blame teachers for conditions out of their control, and is pushing to release the unreliable teacher data reports? Lynne Winderbaum makes the case. No one should say that our mayor is not understanding of how unique challenges can affect the statistical measurement of one’s job performance. And so it was that I listened to Mayor Bloomberg explain with a bit of impatience and annoyance that the city’s performance in the wake of the snowstorm was not up to par because of a series of unique challenges. He begged for understanding because, you see, there were a large number of city agencies and personnel involved, there were near white-out conditions, and hundreds of city buses and dozens of ambulances were stuck in the snow. But the mayor should be aware that all that matters is the outcome, not the difficulties inherent to the job. The data shows that the average response time to structural fires in 2008 was four minutes 33 seconds. The average response time for medical emergencies in 2008 was four minutes 30 seconds. However, in this case, data released today show that the Fire Department had a 3-hour delay in response to critical cases, like heart attacks, and 12-hour delays for non-critical calls. A five alarm fire in Elmhurst raged for 3 hours when firefighters were delayed by the blizzard conditions. Extraordinary challenges notwithstanding, emergency responses to all calls should be within five minutes. It is incumbent on the news organizations, for the sake of our citizens, to FOIL a list of all firemen and EMT’s that were on duty during this time period and to identify them by name in the newspapers. The mere fact that response time data was influenced by so many factors beyond their control, as detailed by the mayor above, is no excuse to fail to reach or exceed the standard of response time expected by the city. It is also unfounded to excuse the longer response times from any engine companies who were impacted by the increased demands created by the closure of firehouses in their neighborhoods. In response to critical comments, I have added clarifications and corrections in bold italics to my original post. I apologize for some sloppy math in not annualizing what was a six year rate in the apparent source article for the film. After further analysis, the movie’s claims remain clearly inaccurate as well as misleading; though the source article was only partially erroneous, at least as far as I can tell. Sorry for the mistake -- and thanks to all my readers, and especially those of you who checked my figures so assiduously.
" ...in Illinois, 1 in 57 doctors loses his or her medical license, and 1 in 97 attorneys loses his or her law license, but only 1 teacher in 2500 has ever lost his or her credentials." Since the movie was released, these figures have been repeated frequently. They take up five pages in the Google search engine, were cited in the NY Times review of the film, the British newspaper the Independent, as well as Brian Williams of NBC in the television program Education Nation. But apparently not a single one of these news outlets, or the makers of Waiting for Superman, ever bothered to check them. During the past six years, 1 in 2,500 Illinois educators have lost their teaching credentials through suspension, revocation or surrender. By comparison, during the same period 1 in 57 doctors practicing in Illinois lost their medical licenses and 1 in 97 Illinois attorneys lost their law licenses. "Either Illinois teachers are 43 times better behaved than doctors or they are being held to a considerably lower professional standard than other professions,'' said Jeff Mays, executive director of the Illinois Business Roundtable and an advocate for educator accountability standards. ``Just like doctors and lawyers, teachers are members of an important and demanding profession. It's time that they be held to the same professional standards." One should note that the data cited in the source article is substantially different from the claim made in the film. In the movie, the period of six years is omitted for the disbarment of physicians and/or attorneys– making indefinite the time span over which the data was collected. The film also says that only 1 in 2500 Illinois teachers have “ever” lost his or her credentials, rather than over six years. In an effort to verify these claims, I first consulted the annual summary put out by the Federation of State Medical Boards. In reality, 121 doctors lost their licenses in Illinois in 2009, out of 43,670 physicians. That means an average of 0.3% of doctors per year lost their licenses; or 3 out 1,000 per year. Over six years, this would equal 1.8% -- substantially the same as the 1 in 57 figure cited in the source material. I also checked the claim that 1 in 97 attorneys in Illinois lose their licenses over six years. According to data reported by the American Bar Association, 26 lawyers in Illinois were disbarred in 2009, out of a total of 58,457 - in some cases, by mutual consent. Since 2001, the average rate of Illinois attorneys disbarred is 32 per year – with more than half of them leaving their professions “voluntarily.” This is an annual rate of about 0.05%, for a six year rate of 0 .3% -- 3 out of 1,000 – not one out of 97, as the source material claimed. As mentioned above, the movie did not specify the time frame over which this disbarment is supposed to have occurred. 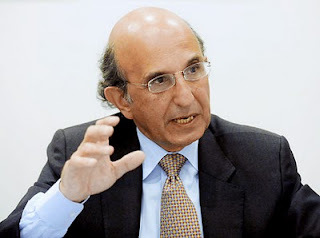 The total number of lawyers disbarred in the entire country, either involuntarily or by mutual consent, is 800 per year out of 1,180,386; which is about 0.07% per year, or 7 out of 10,000. The number of those involuntarily disbarred is 441- about 0 .04% or 4 out of 10,000 per year. The six year rate for disbarment nationally would be 0.42% -- about ten times the figure cited in the film of one in 2500 Illinois teachers who “ever” lost their credentials. I could not find any independent data verifying the number of Illinois of teachers who lose their credentials each year. According to the NY Daily News, over the past three years, 88 out of about 80,000 New York City schoolteachers have lost their jobs for "poor performance." This represents an annual rate of about 30 out of 80,000, or 0.03%, which is about the same rate as attorneys who are involuntarily disbarred each year nationally. According to the Houston Chronicle, over the last five years, 364 Houston teachers have been fired, out of about 12,000: "Of those, 140 were ousted for performance reasons, a broad category that generally covers teachers not fulfilling their job duties." So the rate of Houston teachers who lose their jobs due to poor performance is about 0.2% per year - higher than the rate of either doctors or attorneys in the state of Texas removed from their profession annually. For example, only 32 Texan attorneys were disbarred in 2009 out of 75,087; for an annual rate of 0.04% -- at one fifth the rate. 64 doctors per year on average lost their licenses in Texas between 2005 and 2009; out of about 60,000 physicians, at an annual rate of about 0.1 % -- about half the percentage. Moreover, many more teachers who are untenured and/or uncertified are removed from their jobs for poor performance. Roughly 3.7% of New York City teachers were denied tenure this year, according to the NY Times. The overall attrition rate of teachers is much higher - many of whom would probably otherwise be cited for poor performance, but who leave the profession either willingly, or "counseled" out. In New York City, the four year attrition rate is more than 40% -- a mind-boggling figure. In reality, one of the most serious problems plaguing our urban schools, along with excessive class sizes, overcrowding, and poor support for teachers and students, is the fact that we have far too many inexperienced educators revolving through our high-needs schools each year. Can you imagine if 40% of physicians or attorneys left their jobs after four years? A national emergency would be declared, with a commission appointed to find out how their working conditions could be improved. To the contrary, eliminating teacher tenure and seniority protections would likely produce an even less experienced and less effective teaching force - especially in our urban public schools, which already suffer from excessively high rates of turnover. As a parent, I support a higher standard for teacher tenure and more rigorous teacher evaluation systems. I have seen my own children benefit from excellent teachers over the years, but also occasionally suffer as a result of poor teaching, though the latter has occurred as often in schools without union protections as those that were unionized. An improved evaluation system would take into account not only test score data, but also feedback from other teachers, administrators, students and parents. 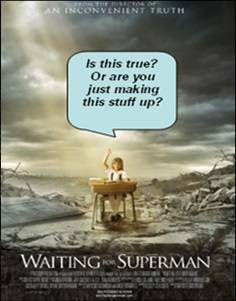 But at this point, we simply cannot trust the corporate oligarchy currently making policies for our schools to create a fair evaluation system, including those who backed Waiting for Superman, given their proclivity to misuse and distort data, as shown by the egregiously inaccurate figures cited in the film. Rather than a documentary, perhaps the movie should be re-categorized, with an appropriate disclaimer, as an urban myth. 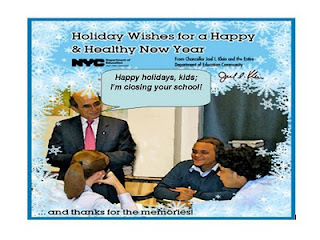 Thanks to all of you who suggested a caption for the (real) NYC Department of Education holiday card from Joel Klein. And thanks to Ken Libby for the idea. In the end, I made up my own. In the same vein, be sure to check out the WaPost Answer Sheet for the censored play by Jamaica High School students about the decision to close their school, and the Huffington Post column by their teacher, Brian Pickett, about how this heartbreaking play was conceived and created. In Joel Klein's exit interview in the NY Times he portrays himself as misunderstood. Or is it he himself who continually misses the point? In response to a question about whether he regrets not paying attention to public school parents and teachers who grew angry at him for his neglect, Klein pulls out a card from a third grader at a Harlem charter school, thanking the Chancellor for being his "advocate." Not only was this clearly orchestrated by a charter school operator, but unmentioned is the apparent lack of appreciation from any of the one million plus parents or students at public schools in the system that he was responsible for running for the last eight years. In response to a question as to whether he regrets the fact that there are still many schools with large numbers of failing students, Klein brags that he closed nearly a hundred schools. When asked about whether he regrets that he didn't adequately listen to "outside voices"
he responds that he should "have spent more time really engaging people so they really understand the things that drive me." Me, me, me. Again, others should have listened to him more; not that he could have listened to others. He says "I think teachers would feel really respected if we created the kind of profession where teachers were the American heroes, where excellence was truly rewarded. " Instead, he has scapegoated teachers at every turn, and "rewarded" them with larger classes, closing their schools, putting more pressure to increase test scores at any cost, and advocating for the elimination of their job security and seniority. "Schools have to turn around from within. There’s not somebody at a central office who waves a wand on this stuff." In other words, don't blame him if schools didn't improve enough under his watch. This guest column is by Peter Huidekoper, Jr., a former teacher in Colorado. Sorry to disappoint if you'd like a story of good cheer. But if Dickens could tell a Christmas story with more than a little bitterness and anger, it's okay to follow in his shoes. True, Scrooge finds happiness and becomes a second father to Tiny Tim. This piece ends with another vulnerable child, little Bianca, still waiting for a better school where she is not lost in a large class. Those who are "badly off must go" to schools and sit in classrooms with 29 other students. "They cost enough." Teachers and parents begging for smaller classes--"We can't afford it." Let's even add more kids! No big deal. Who would offer such Scrooge-like ideas? Well, if it isn't the two jolly men who must have doled out more wasted money to misguided education "reforms" in 2010 than anyone else in America: Secretary Arne Duncan, delivered sleigh loads of "Race to the Top" grants across the land, and Bill Gates, our nation's most "generous" philanthropist. Last year reformers heralded "The Widget Effect--Our National Failure to Acknowledge and Act on Differences in Teacher Effectiveness." The message: don't view teachers as widgets, as "interchangeable parts"--or as Webster's puts it, "something considered typical or representative, as of a manufacturer's products: the widgets coming off the assembly line." Nice to be told we are individuals, who should not be treated as thingamajigs. The same goes with students. Teachers are human beings, only capable of knowing well a certain number of students, who are themselves individuals with very different strengths and weaknesses. We simply cannot teach 120 students as well as we can a hundred; and we cannot teach a hundred students as well as we can 80. Let's go to an assembly line, the famous scene in Modern Times where Charlie Chaplin is working in a factory, tightening a pair of bolts as they rush by on the conveyor belt, both hands at work; occasionally he falls behind because of an underarm itch, or a bee flying by his twitching nose. Upstairs the boss of Electro Steel Corp takes a break from the funny papers long enough to bark out to his minion: "Section 5, speed her up!" We laugh as the tramp snaps his wrists faster and faster to match the rising tempo of the conveyor belt, and then, as he chases after some bolts he failed to tighten. Another shout from the Voice on High: "Section 5, give it the limit!" Soon it's too much. Charlie jumps on that belt and gets swallowed up inside the machinery and the gears. In asking us to think anew amidst our tighter education budgets, what does our Secretary of Education say? "Our K‐12 system largely still adheres to the century‐old, industrial‐age factory model of education.... Educators were right to fear the large class sizes that prevailed in many schools. But the factory model of education is the wrong model for the 21st century.... "
Good, no more factory model. Then what in the world is he doing from his sleek office upstairs barking-OK, in Duncan's case, recommending--bigger classes? More Speed! Give it the limit! "Parents, like myself, understandably like smaller classes. We would like to have small classes for everyone‐‐and it is good news that the size of classes in the U.S. has steadily shrunk for decades. But in secondary schools, districts may be able to save money without hurting students, while allowing modest but smartly targeted increases in class size...."
"In fact, teachers in Asia sometimes request larger class sizes because they think a broad distribution of students and skill levels can accelerate learning." Darn! I KNEW there was something wrong with me! I am not volunteering to have bigger classes so that I can have more 14-year-olds whose voices will not be heard in our 50-minute class, so that I can have more paragraphs and essays to read and correct. What's WRONG with us that we who don't ask for an even broader "distribution of students and skill levels"--as if we don't already have a huge range in our rooms already with 21-24 students. And guess what--this is how, Duncan claims, we "elevate the teaching profession"! "Your predecessors ... could push reforms with big price tags. Schools hired new staff, added more specialists, and reduced class sizes. We went from one adult for every 19 students to one adult for every 8 students. I don't question the good intentions behind it, but these have been costly changes, and they have not led to better student achievement.... Great teachers are a precious natural resource. But we have to figure out how to make them a renewable, expandable resource." "Conservative estimates suggest that we can save more than $10,000 per classroom by increasing class size by just four pupils. If we pay some of that money to our best teachers for taking in more students, we accomplish three goals at once - we save money, we get more students in classrooms with highly effective teachers, and we give our best teachers a real raise, not just for being good, but for taking on more work." Pay me to teach more students? No thanks. We compromise enough as it is. We have our standards too. Unfortunately, these two men have outsize influence. Already others have chimed in. Rick Hess of the American Enterprise Institute, the National Council on Teacher Quality, and the Thomas B. Fordham Institute--all gleefully singing the same tune, all seemingly eager for budget cuts and increased class sizes across the land. 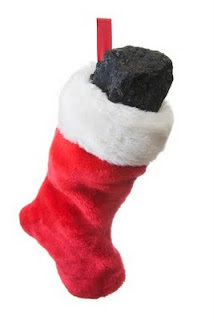 So a lump of coal in your Christmas stockings, Secretary Duncan, Bill Gates, and these others. Here is my protest for advocating an idea that most teachers, parents, and researchers can only call foolish and unjust. Teaching has been 18 years of my life and so, yes, this is personal. To have over a hundred students in Vermont was "easy" compared to fellow English teachers here in Colorado today, where many have 150 students- 5 x 30--in their classes. Personalization: Teaching and learning should be personalized to the maximum feasible extent. Efforts should be directed toward a goal that no teacher have direct responsibility for more than 80 students in the high school and middle school and no more than 20 in the elementary school. It was a reason that when I returned to teach this past decade, I was only willing to work in schools (including two charter schools) where the teacher-student ratio enabled me to feel I could be effective. And it was one factor in my not going back to the public school where I taught last spring. "We really think our law is good for education. I think the numbers-18: K-3, 22: 4-8, and 25 for H.S. were arrived at very responsibly. After over a year with class sizes in compliance for my 3rd, 4th, and 5th grade classes, I feel that the numbers are just right. I have 18, 22, and 22 and feel like I have a good teaching re lationship with all of my students." 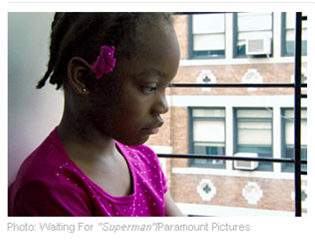 Now let's hear from a student, seven year old Bianca, one of the New York City children in the film Waiting for Superman, eager to find a better alternative to the public school she attends. "We have 30 kids in my class and one teacher," the Harlem second grader says softly. "She doesn't have time for each of us." Diane Ravitch was just selected as the 2011 recipient of the Daniel Patrick Moynihan Prize, created by the American Academy of Political and Social Science to honor those individuals whose careers in the academic or public arena have been dedicated to the use of social science research to improve public policy. The $20,000 prize was awarded in recognition of her long career of distinguished work on urban education as a researcher and public official. More on the Prize here. Diane is a true public intellectual, someone who has engaged fully in the public arena in order to ensure that local, state, and federal education policy is informed by history, social science research and good sense. She has also passionately advocated for the parent and teacher voice to be recognized in the national debate over education reform. I can think of no one else in any field of public policy who is more esteemed, or who has made more of a contribution to the wider understanding of the history of public education and what should be done to ensure that all children receive a quality education. Over the past few years, she has tirelessly written and travelled the country, cogently and persuasively arguing that the current craze for privatization and high-stakes accountability is neither research-based, nor an effective means to improve our public school system. Rather, she has pointed out how the imposition of these policies will further degrade opportunities for children, particularly the most disadvantaged students who reside in inner cities and other high-needs areas. If it is indeed true that education is the civil rights issue of our generation, Diane is one of our most esteemed leaders in the struggle for the right of all children, no matter where they attend school, to be provided with a well-rounded and rich curriculum, high standards, small classes and experienced teachers – indeed, the same conditions as the elite have long demanded in the schools that their own children attend. As John Dewey once wrote, "What the best and wisest parent wants for his own child, that must the community want for all of its children". Through her eloquence, vision, and scholarship, Diane has passionately and convincingly argued that our public school system should be strengthened, rather than undermined – so that it can provide for all the nation’s children the kind of education that the best and wisest parent wants for his or her own child. I cannot imagine a more deserving candidate for this award. Like Daniel Patrick Moynihan himself, Diane’s vision is entirely non-partisan, transcends ideology, and is based on the best evidence and scholarship, as opposed to the latest political fads or fancies. Her immense courage and honesty has impelled her to speak truth to power, whereas lesser individuals would keep quiet or repeat the delivered wisdom. More personally, Diane has been a mentor and a friend to me, as well as a personal inspiration, when I sometimes feel overwhelmed by the immense power and money of the oligarchy that has come to control education policy in this country. She will receive the prize at an award ceremony in New York on June 2, 2011. I know that many of you reading this post would like to give her your congratulations for receiving this honor, which so richly deserves. You can either comment here, or send your thoughts privately to her at gardendr (at) gmail dot com. Bob Hughes of New Visions and James Merriman of the NYC Charter Center, beneficiaries of gobs of Gates money, join together in the Daily News to praise the one-sided Gates-designed “compact” signed by Chancellor Klein as well as the leaders of other districts around the country who receive Gates money. Nice little self-appreciation club, guys. Real parents and other stakeholders were as usual left out of the discussion. Not mentioned in the “feel-good” oped is how the actual “compact” requires that NYC continue to provide charters space in district buildings – which has sparked controversy and bitter battles as district public school children are increasingly squeezed out of their own schools, into basement rooms or even hallways. As usual, the heedless charter lobby continues to be their own worst enemy, as resentment against charter schools grows as a result of their greedy actions. Unfortunately, in our chronically overcrowded, space-starved and underfunded system, the provision of a quality education continues to be a zero-sum game, as many of our neediest students suffer under worse and worse conditions with the continued proliferation of charters. While the city is contributing more than half a billion dollars to charter schools, the budgets of district schools continue to be slashed to the bone. For a charter/district compact with principles that, if enacted, would provide real equity and opportunity for all NYC children, check out the framework of common principles that Class Size Matters and NY Charter Parents Association developed with input of actual public school parents from both sets of schools. As parents had a say in its design, it includes the key issue of class size. See this article in Capital about what a bad manager Joel Klein was...with lots of stories of screaming fights at Tweed. It might make good gossip, but anyone paying any attention to our schools has known for a long time that Klein was a terrible manager, though the mainstream media seems to have paid little attention before now. The theory floated in the article is that everything was better before Kristen Kane left in 2007. When [Kane] she left in 2007, Klein filled her position of chief operating officer, but no one took over her managerial responsibilities and the department suffered for it, a former official said. “There really never was any high-level management coming out of Joel’s office without her, and certainly, she was never replaced,” said a former DOE official. Yet the reality is that Klein made one management blunder after another, long before Kane left. As soon as he dissolved the school districts, supposedly to save money but really to grab more power for himself, the whole thing fell apart. Those of us who were around in the early years still remember the huge budget overruns at DOE, the whole special education mess when kids went two years without referrals and services, the Diana Lam horror show, the reading curriculum fiasco, and don't forget the bus route reorganization that left kids having to cross highways and shivering in the street in the middle of winter. This very visible indication of Klein's heedless mismanagement took place in February 2007 -- nearly a full year before Kane resigned in December 2007. 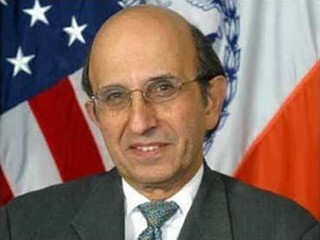 In fact, Klein mismanaged the department consistently from the moment he stepped into the job till the moment he left. For those whose memory is short or weren't there at the time, they really should read our book, NYC Schools under Bloomberg and Klein. Of course, she had never admitted this publicly before. On Thursday, December 9, students rioted in the halls of Murry Bergtraum High School in lower Manhattan. The latest straw that broke the camel’s back was the announcement of the new “executive” principal, Andrea Lewis, who received a $25,000 bonus to run the school, that none of the students could use the bathrooms for an entire day – a punishment for a fight that had broken out between a couple of students the day before. Her announcement led to rioting in the halls. 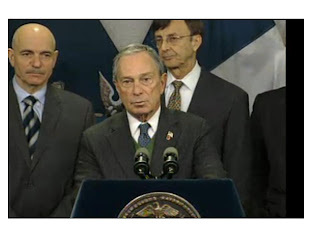 More on this at GothamSchools, which broke the story, here and here; and NY 1 has video. But as John Elfrank-Dana, the UFT chapter leader points out below, in a missive to fellow faculty members, the anger that erupted last week was also the result of deeper issues -- the awareness on the part of students that they are receiving a “junk education.” Indeed, Bergtraum is another NYC high school in which rampant overcrowding, large class sizes, fraudulent credit recovery, and other learning conditions have worsened considerably as a result of the wrongheaded policies and educational and neglect of this administration. Many of our students chose to vent their outrage on Thursday in the form of running wild through the halls. A very dangerous situation. Hundreds participated. The principal's announcement of curtailment of bathroom access no doubt precipitated this action. Try and spin it how you like; that's the overwhelming consensus. However, it seems to me that was just the last straw, i.e. that the revolt wouldn't have happed if it were not for a deep seated resentment brewing in the students. That resentment stems from the fact that they know they are getting junk education. They understand that they aren't getting their needs met by this system. That they need smaller class sizes, more family and guidance support, a genuine curriculum and not some cookie cutter/corporate template imposed upon them like Kaplan. They know that elsewhere in this city and country there are schools with class sizes of 12 or so, with students using the latest in computer technology to engage in enrichment activities not meaningless drill exercises and credit recovery fraud. Where teachers, who are not over-stressed and threatened by U ratings on a daily basis, are patiently providing needed individual attention to their needs. You won't find Class.com in the affluent suburbs; those parents would be outraged. They know all this, but they don't know they know it. As Palo Freire, the education theoretician, said that education is making the subjective objective. Not quite objective yet, the junk education is what the students would understand is the source of their rage. The principal's curtailment of bathroom privileges was perceived by them as a slap in the face, adding insult to injury. It was, I believe, perceived by the students as punitive in nature and not to protect them. It was also ill conceived to create a demand overload situation for the nurse's office; which has many other vital services to provide students. While the principal does damage control with focus groups of students there's also the concern expressed by some of you that maybe she's on a fishing expedition to find evidence for blaming the teachers for the incident. If you hear of any such notion from students that this is the agenda of these meetings, do not discuss it with them or probe. Just let me know what you heard. As in my class yesterday we had a special lesson on student rights and responsibilities as well as creative and constructive ways to redress grievances. This should be the focus of moving ahead with our students. Yesterday morning we saw a major operation of support by the UFT. Some of you met Michael Mulgrew and myself in the hallway. He brought with him a delegation of union personnel who are committed to providing the necessary means for protecting the students and staff. He sat at one end of the table, flanked by me and UFT reps, while at the other was the head of security for the entire DoE system. Present also was Glen Rasmussen, our main security liaison with the DoE and about 5 other suits from the DoE and our Network Support Group, and, of course, the principal. The discussion centered on the plans for the day and the short-term road ahead. It was understood that other volatile eruptions were likely if we didn't take appropriate action. We will meet throughout the week, myself, the administration, special reps from the UFT and DoE security to monitor and put together a more concrete plan to secure the school. Any suggestions and/or information you can share would be greatly appreciated. At the morning meeting the head of DoE security commented that there was significant improvement in the school's security numbers (incident reports) compared to last year. Whoa! I thought, would my members really think that things have dramatically improved?! Therefore, at the end of the afternoon meeting I had to call out the "elephant in the room" that no one is talking about. I said that "morale in this school is at an all time low!" That we won't get as full support from the staff if they continue to feel harassed and intimidated by the spike in U-ratings. That many teachers fear that there will be retaliation for reporting disciplinary problems. It's because they feel the administration is out to get them. Against this backdrop the security situation in the building cannot improve. I referred to the beginning of the school year that when, after he called for support for a classroom situation, the same teacher was told (within ear shot of his students at least) by the principal who came that he's getting a U for not having a lesson plan (forget the fact that he did, in the form of the NY lab book, but was too frazzled to point that out). That got around to the faculty the message: You ask for help with discipline and it will be held against you. Second, that just yesterday during a class a girl's cell phone was stolen, the likely perp was asking to go to the bathroom, and the teacher, thinking on her feet, denied him. An SSA and Dean were called. The dean was reluctant to have the boy in question's bag searched by the SSA but chose instead to chastise the girl for bringing her phone to school and was going to leave it at that. Fortunately, the victim herself then went into the boy's bag and produced her phone. When the teacher went up to the dean's office to report it, another dean told her there was no need to as it was resolved. Mr. Rasmussen stated that's a Level IV infraction and should have produced an occurrence report. I will follow up. But, I am afraid this kind of thing goes on in the school on a daily basis. While I am confident MOST of our deans don't sweep things under the rug, I have to assess if we benefit at all from those who assist in keeping the school's crime numbers down. No doubt you will hear the response: "They're gonna close the school! So, see no evil, hear no evil, say no evil!" However, they will close the school whenever they want for whatever reason they want. We could improve the stats (either by intimidation to pass 80 percent or more and/or scrubbing Regents exams scores and bogus credit recovery) or in a real way. The DoE has closed improving school for real estate to open charter schools. All we can do is do the right thing by the school community; stand up for what is right and decent for our students and staff and be public about it. Our staff must be treated like professionals with fairness and respect, parents need to be parents and provided school support. Last and not least, the students must be given what they deserve; a quality education. Without this, we will measure success though quietly putting out fires and suppressing reports of incidents in the school while cooking the books on student achievement. Such a fraud produces a house of cards. And when that house of junk blows over, all suits in the DoE's army may not be able to erect it again.